 While we are still busy trying to recover from the effects of the earthquake in Lombok a couple of weeks ago, now suddenly we are again hit by a large earthquake with a tsunami, this time in Central Sulawesi. This new disaster has affected our brothers and sisters in different regions; Palu City, Donggala, Sigi, Mamuju and the surrounding areas.  Only to Allaah, the Exalted, we ask for help and protection. 1⃣ To provide assistance to the Muslims in the areas affected by the earthquakes, both morally and materially. 2⃣ Help with collecting donations for the affected Muslims. 3⃣ The collection of donations is done according to the continuation of the program with which donations for the victims of the earthquake in Lombok were collected. 4⃣ Donations that were previously only intended for the restoration of Lombok, per-21 Muharram 1440 H/1 October 2018, are used for the victims in Lombok and Sulawesi. 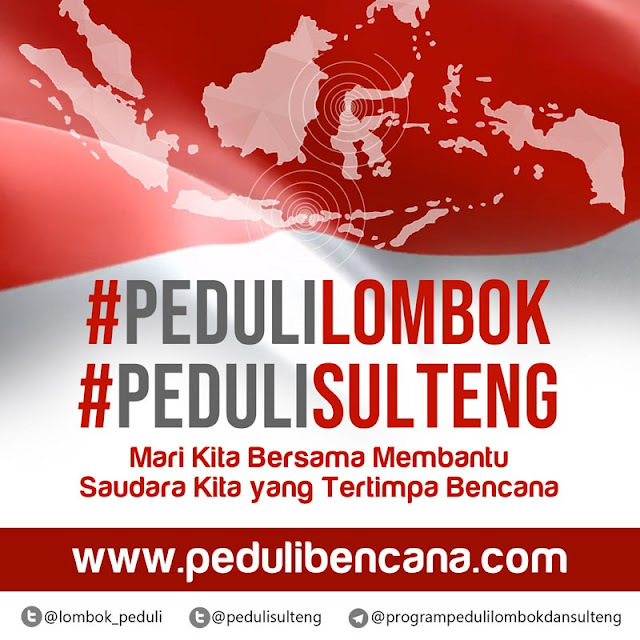 The program is now called DONATIONS FOR VICTIMS IN LOMBOK AND SULAWESI.  May the Muslims in the areas struck by the earthquakes be patient with what they are being tested with and may they remain steadfast in their faith.